Research confirms that eating even less than a cup of blueberries a day helps fend off heart disease, cancer, brain aging, and much more. Here are seven great reasons to eat more blueberries every day. According to a study published in Circulation: Journal of the American Heart Association eating at least three servings of blueberries and strawberries every week can save women from heart attacks. Researchers from the Harvard School of Public Health and the University of East Anglia reviewed the berry-eating habits of 93,600 women between the ages of 25 and 42 over 18 years. The women were part of the Nurses’ Health Study II. Researchers concluded that women who ate three or more servings of blueberries and strawberries per week reduced their risk of heart attack by as much as one-third. And it really had to be berries. Women who ate a diet rich in other fruits and vegetables did not enjoy the same reduced heart attack risk. Blueberries can lower your blood pressure. Researchers conducted a double-blind, placebo-controlled clinical trial on 48 post-menopausal women with pre-hypertension or stage one hypertension. Every day half the women were given 22 grams of freeze-dried blueberry powder equivalent to one cup of fresh blueberries. The other half received a placebo. The results were published in the Journal of the Academy of Nutrition and Dietetics. After just 8 weeks the women who took the blueberry powder had significantly lowered their systolic (5.1%) and diastolic (6.3%) blood pressure. Those on the placebo had no change. In addition, the blueberry powder reduced arterial stiffness on average by 6.5%. No change was seen in the placebo group. Arterial stiffness is a symptom of atherosclerosis and predicts cardiovascular risk. It indicates that the heart has to work harder to circulate blood to the peripheral blood vessels. The researchers attributed the beneficial effects to an amazing 68.5% increase in blood levels of nitric oxide in the women who took the blueberry powder. Nitric oxide is known to widen blood vessels to increase blood flow and lower blood pressure. Those on the placebo had no changes in nitric oxide levels. A study from Florida State University found that a daily serving of blueberries could be key to fighting cardiovascular disease in women. And in another study, researchers from England and Germany proved that less than a cup of wild blueberries can have an almost immediate and long lasting effect on how well your vascular system is circulating blood. The more easily blood flows through your arteries and veins, the less your heart has to work. They conducted two randomized, controlled, double-blind crossover studies in 21 healthy men between 18 and 40 years old. In the first study, some of the men drank varying amounts of blueberry polyphenols, ranging from the equivalent of 240 grams (3/4 cup) to 560 grams (1.25 cups) of wild blueberries. Others were given a drink with the same macro and micronutrients but no blueberry polyphenols. The researchers then measured changes in the men’s “flow-mediated dilation.” FMD is the gold-standard to measure endothelial function. The endothelium is the lining of the blood vessels. FMD is considered a good predictor of cardiovascular disease risk. They found that as blueberry polyphenols were broken down by enzymes into various metabolites, endothelial function in the men improved. The benefits lasted at least 6 hours. A second study showed that FMD improved in a dose-dependent manner up to the equivalent of about 240 grams of wild blueberries. Then the effects plateaued. In other words, the men didn’t get any additional benefit in endothelial function by eating any more than the equivalent of three-quarters of a cup of wild blueberries. 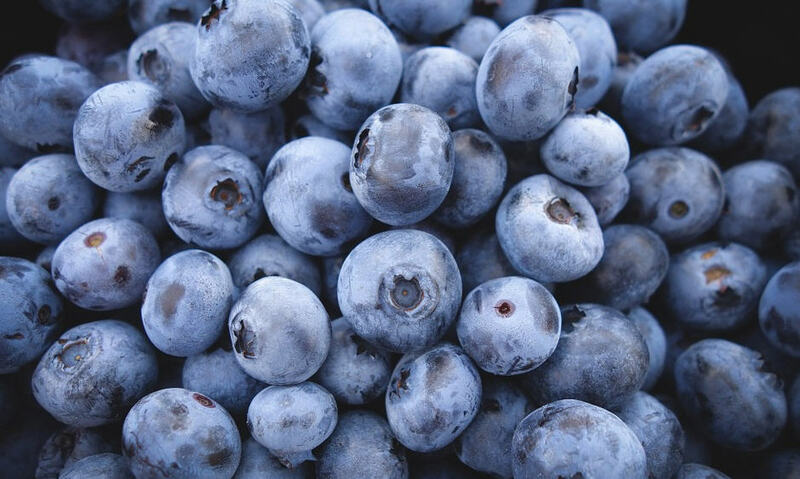 A study in the journal Nutrition Research found that daily blueberries increase natural killer (NK) cells. [i] NK cells are white blood cells that play a critical role in the immune system’s defense against foreign invaders like viruses and tumors. They scan the body for abnormal cells and destroy them before they can develop into actual cancers. © June 20th 2016 GreenMedInfo LLC. This work is reproduced and distributed with the permission of GreenMedInfo LLC. Want to learn more fromGreenMedInfo? Sign up for the newsletter. Previous post Anti-Inflammatory Brownies Made With Only 5 Ingredients! 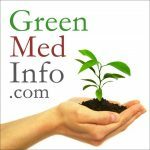 GreenMedInfo.com Is The World's Most Widely-Cited, Open-Access, Evidence-Based Natural Health Resource With 30,000 Scientific Abstracts and Articles! It includes over 20,000 biomedical citations and six major indexes, including Problematic Actions (adverse effects of vaccines, for instance), Problem Substances (adverse effects of common drugs, food preservatives, environmental poisons), Therapeutic Actions (Yoga, Tai Chi, Acupuncture, etc.) and Pharmacological Actions (natural beta-blockers, antibiotics, etc.). The main two indexes include over 1600 Natural Substances (most of which are herbal) and 2500 Ailments. © GreenMedInfo LLC. All content is reproduced and distributed with the permission of GreenMedInfo LLC. Want to learn more from GreenMedInfo? Sign up for the newsletter here http://www.greenmedinfo.com/greenmed/newsletter.